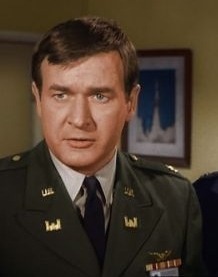 MrQuick.net: oldschoolsciencefiction: Rest in peace to Bill Daily, best known as Major Roger Healey on “I Dream of Jeannie” and airline pilot Howard Borden on “The Bob Newhart Show”. He also guest starred on “Alf” and “The Powers of Matthew Star”. The veteran actor and comedian was 91 years old. oldschoolsciencefiction: Rest in peace to Bill Daily, best known as Major Roger Healey on “I Dream of Jeannie” and airline pilot Howard Borden on “The Bob Newhart Show”. He also guest starred on “Alf” and “The Powers of Matthew Star”. The veteran actor and comedian was 91 years old.